Fancy adding a little extra power to your standard USB drive? Well Kingston have unveiled their new urDrive software which is available to download for free and can be installed on any existing USB drive to add active storage functionality. Kingston urDrive transforms USB drives from passive storage to engaged, active storage allowing you to access and organise their personal files, photos, music, games and videos. Watch the video after the jump to see the Kingston urDrive in action. 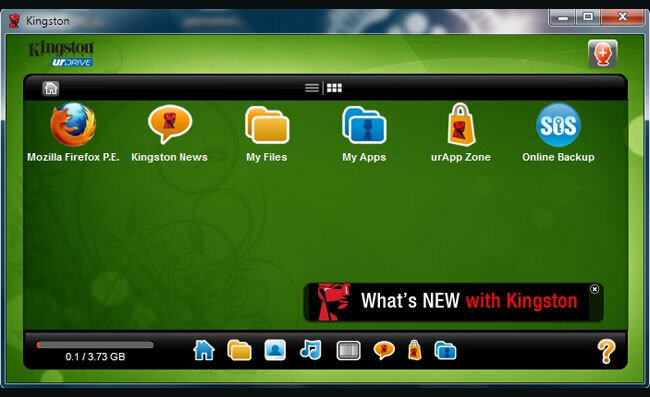 Kingston urDrive will also come pre-installed on the Kingston’s entry-level DataTraveler 101G2, 108 and 109 USB Flash drives, and soon on the DTIG3 and supports Windows 7, Vista (SP1, SP2) and Windows XP (SP3).